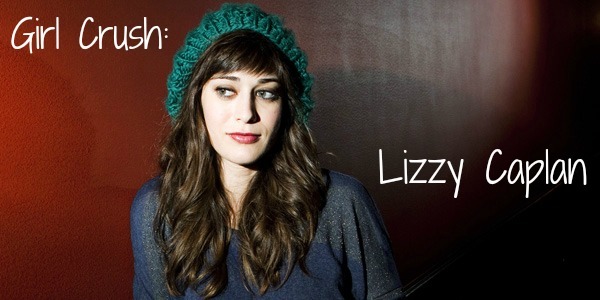 I hadn’t seen the work of Lizzy Caplan before the two-season series Party Down, which was where I was also introduced to Adam Scott. Scott has landed a regular – and very funny – role on TV’s Parks and Recreation, while Caplan and I haven’t had any sort of reunion since Party Down was cancelled. Both Caplan and Scott are in Bachelorette, a sort of indie-Bridesmaids for the more cynical set; their relationship is similar to the one they shared in Party Down, but where, in that series, Scott seemed to hold the reins, here Caplan grabs the movie and simply runs away with it. I hope she becomes a star in the process, because she is simply a magnificent, refreshing big-screen presence. She’s certainly not in the company of slouches. As one quarter of a group of high-school friends who have “grown up” to varying degrees, and are thrown back together for the wedding of one of them, Caplan’s joined by Kirsten Dunst (the kind-of mature one), Isla Fisher (the wild one) and Rebel Wilson (the bride). All are terrific. Dunst, with around thirty-three feature films under her belt now, is not only a bona-fide movie star but a legitimately terrific screen actress of depth, precision, vulnerability and grace; she’s come a long way since The Virgin Suicides, and she was already very good by the time she did that. Fisher is a fantastic comedienne of the old school, and her character – the most extreme of the four – suits her particular skills to a tee. Wilson, who was also in Bridesmaids and A Few Best Men, obviously has a lock on wedding comedies at the moment; she’s also got a lock on the “heavy chick” in comedies stretching from independent to hugely Hollywood, a kind of astonishing feat for the creator of Bogan Pride (and one which must be eating at Gabourey Sidibe, who got an Oscar nomination for Precious but has made about a quarter of the movies Wilson has since then). In a way, Wilson’s star is burning brightest at the moment – she is working on big movies non-stop, appearing on all the major US talk shows, and generating a massive fan base – but her schtick – as demanded by the roles she is playing – is definitely samey: sweet, sarcastic, vulnerable, often a little dim. I hope she gets a strong lead role very soon, lest that brightness also burn out when Hollywood finds the next third wheel of ample girth (I look forward to seeing her in the upcoming Pitch Perfect). 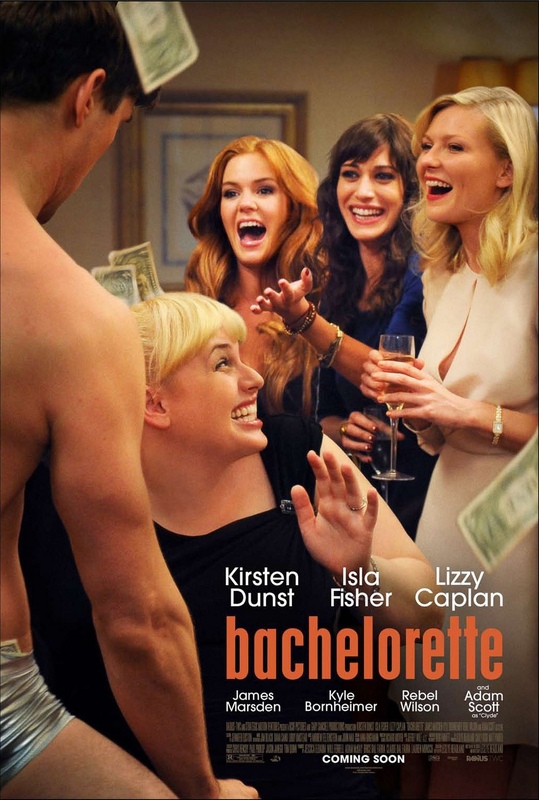 The plot is hardly the point here (it revolves around a torn wedding dress); Bachelorette is all about these very fine actresses playing some pretty sad, desperate women who have some pretty funny lines to say. It veers into surprisingly depressing territory for a surprisingly long time around the end of the second act – and doesn’t really come back into comedic mode – but that gives the movie an emotional heft that is… well, surprising. All of these actresses are going to continue to do great things: if you don’t yet know their work, watch them blossom here.